Cancer and efforts to treat cancer are described in Ancient Egyptian documents dating back to 1600B.C. The first successful cancer treatments were arsenic-based therapies for leukemias, with the first reported application to cancer in the nineteenth century. However, nitrogen mustards are often accredited as the first modern chemotherapy. Originally intended as a chemical warfare agent in World War I, nitrogen mustard was stockpiled by several countries. During World War II, Axis bombers sunk a ship containing large quantities of nitrogen mustard and killed numerous Allied sailors. This observation birthed the hypothesis that nitrogen mustards might prevent the rapid division of cancer cells, one of the few properties of cancer understood at that time. 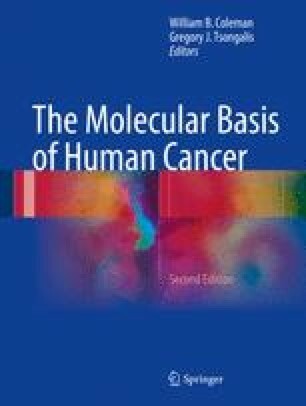 Today, the hallmarks of cancer as recently redefined by Hanahan and Weinberg include several complex and connected cellular properties that allow for this phenotype: resistance to cell death, sustained angiogenesis, limitless ability to replicate, self-sufficiency in growth factor signaling, unresponsiveness to anti-growth factor signaling, genomic instability and mutation, deregulating cellular energetics, evading immune-mediated destruction, oncogenic inflammation, and invasiveness and metastasis. The identification and understanding of these hallmarks is a direct result of our molecular understanding of cancer that has surfaced relatively recently. Each of these hallmarks is determined by a host of molecules that together represent distinct therapeutic opportunities to target molecules that give rise to these defining properties of cancer.